As you probably know, LOTS of people ask to be made into Mods. Most of them don't know the secret to becoming a Mod. They don't really even know what they are asking for since most of them want to be Devs instead of Mods, but it's simpler to lump us all together. A few years ago I got asked so much that I went to a t-shirt store in the mall and had a shirt made saying "No, you can't be a Mod" so I could wear it to DragonCon and save me answering people there. Now, years later, people are STILL asking so we've decided to make the shirt for HeroMart so you can spread the word. The cool thing about the shirt is that it's such an inside joke that most people will just read it and wonder what it means, but those who get it will laugh. The shirt, available now on HEROMART.COM, comes in your choice of Green (like the original) or Black (like the empty bits in space). 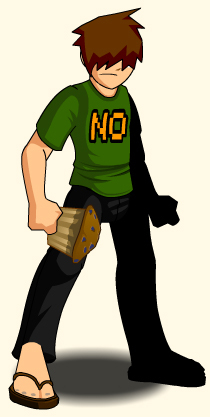 It comes with the Not A Mod Shirt Achievement Badge for your character page and THREE in-game items. Li'l Cysero Non-Member Pet. He dances along beside your character but will, from time to time, point and laugh at you, the player. The NOT A MOD Class: It's not too fancy, just like not being a Mod. Most of the questions I've been getting are about the class and how awesome it is. It isn't. If it were awesome it would be the Yes, You Can Be A Mod shirt. It's a silly class just like the other items. At least that was the idea. As it turns out, it kind of does rule. It's got jeans and flip-flops, just like me (in real life). It's a very simple single target, Warrior based class and i had a LOT of fun with the skills (even the icons). The whole concept of the Not A Mod class is just being a normal gamer, instead of a hero with a great destiny or an all-powerful game Mod. A strong attack known only to disciplined fighters. This is a completely average hit which does perfectly normal damage. You're not a mod. What were you expecting? Super powers? LAWLZ. You really have no clue what you're doing. Just hit some buttons and hope something works. Does slightly higher than average damage with a higher than average chance to crit. I'm a gamer but i have all kinds of friends. I'm sure you have one like this. They don't play games and when they try they look like a duck trying to land a 747. They don't actually use the controller to play the game, they just randomly mash buttons in a frenzy. The thing is... somehow, this often works. Especially for non-gamer girls who play fighting games. Don't ask me why. This is the first single skill that has a higher chance to crit than others without consuming any kind of stack. (not counting guaranteed crit skills). You're probably fighting a monster. Why wouldn't you panic? Doubles haste so you can flap your hands at the thing for a while. 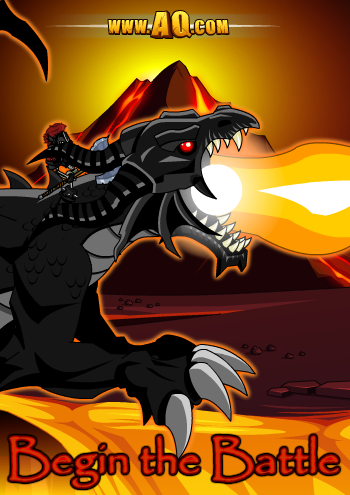 If you found yourself really transported into AQW, then came face to face with a real dragon... do you think you'd actually fight it? Are you mental? You'd flip out, maybe faint and almost certainly need a change of pants. This a cheap haste boost that you can basiclly spam. Love it. You get the benefits of both the Fight AND Flight responses at the same time. Lucky you! How do heroes handle all this fighting all the time? Take a few pills and you'll feel better. Casts a heal over time and reduces incoming damage for a little while. Hero's get beat up a lot and just keep going like nothing happened. Normal people need aspirin when they stub their toes. This is a nice HoT (Heal over time) and the damage resist buff is nice. 20 seconds may seem long until you realize how often you are using Freak Out which cuts your cooldowns. Starting to get the hang of living in Lore after all your freaking out and hand flapping, are you? Just a solid crit buff. Can't complain about that. We have NO idea how well these shirts are going to sell, but we can't afford to keep reprinting them forever so this class counts as a Rare. Check it out on HeroMart now! Who loves fun surprises? We do, and we hope you do, too! That's why once a day, we'll randomly select ONE player who has logged into AQW in the last 24 hours and award them a random prize! It might be a new item, it might be AdventureCoins, it might be an existing item they don't have in their inventory. It could be ANYTHING! We'll leave a note in the winner's inventory explaining that they've won! You've just got to log in to win! Do YOU know a lot about AQWorlds? Want to help other AQWorlds players by answering their questions and helping them battle? Then it sounds like YOU could be a great AQWorlds Ambassador! 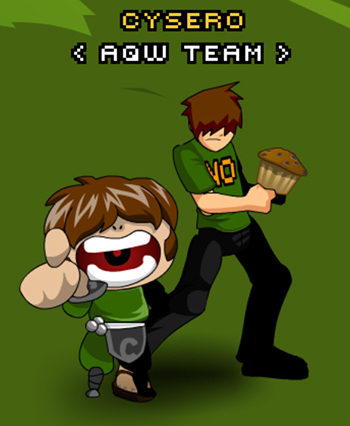 The AQW Ambassadors Guild is a new group we're getting together. We are thinking of creating a new single-frame map where Ambassadors would hang out while they're in-game. New players or those looking for help can go to our Ambassadors! We still need to work out the details of HOW we select our Ambassadors, and these plans aren't final yet, but we're really excited about this idea. We already have a great Head Ambassador in place, and we're building a core of positive, helpful Ambassadors like Serenity Okami and Lycus. Would YOU like to be an AQWorlds Ambassador, and what else would you like to see our Ambassadors do? Not a Mod Shirt at HeroMart Tomorrow! You have always wanted to be a Mod in AdventureQuest Worlds. And no you can’t be a Mod—but you can sport this snazzy new shirt! Equip this mod-ified cotton shirt and strut your stuff as Moderator of the real world. * But be prepared for the endless onslaught of “Can I be a Mod?! ?” questions throughout your real-life adventures! With such great Mod power comes great responsibility… and even greater resPUNsibility! Note: Mod T-Shirt does not convey real-world Mod authority. /Ban and /Mute commands do not work in the real world. It's been fun, but sometimes we need to make room for new gear! The following event, shops, and promos are leaving soon! Tomorrow: Heroes Heart Day event leaves for another year! Tomorrow: Tournament Rares Shop leaves forever! Monday: Beautiful Creatures Shop leaves forever! Friday: Celebrate Dage the Evil's Birthday! Dage the Evil is leveling up in real life and celebrating his birthday in game! Delve into the depths of Dage’s Underworld and embark on challenging quests to create brand-new Undead Legion items in the Soul Forge! Your wait is finally over! Celebrate Dage the Evil’s birthday with his personal hoard of Undead Legion items. 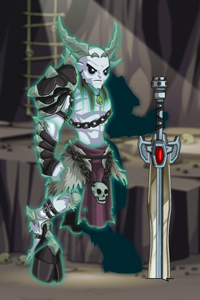 And can you complete Dage’s difficult quests to create Undead Legionitems in the Soul Forge? New Paragon Pet WITH quests! Check back later this week for more details on Dage's dark birthday extravaganza! Survive the Death Pits This Friday! 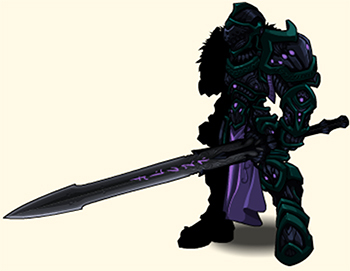 Chaos Lord Lionfang, former knight of King Alteon, has just slainthe Darkblood Death Pit guardian, Logash. It was Logash's swornduty to protect the Tears of the Mother from Chaos Lord Lionfang—and a Darkblood oath cannot be broken by something as simple as death. Logash’s spirit will guide you throughout the remains ofthe Darkblood Slavers' Death Pits in order to reach the Tears ofthe Mother before Liongfang can! 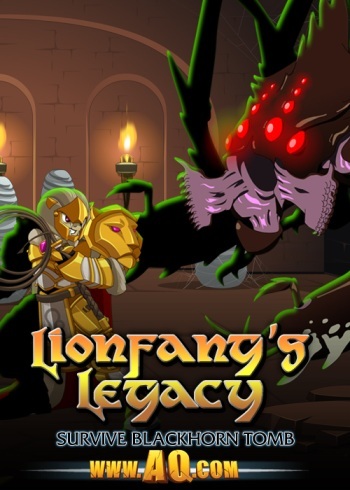 Get one step closer to defeatingChaos Lord Lionfang…if you prove victorious! Because, while the first one was useful and informative, quite a few of the people we've had test it (none of whom have seen AQW before) thought there was too much to read and it was giving too much information at once. Looking at numbers, it wasn't really helping players get into the action. In the new attempt we decided to keep as simple as we could. 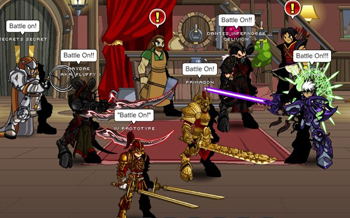 We wanted to give new players a chance to learn the very basics of AQW. Moving, Fighting, Opening A Shop and Using An Item. We're going to see how this new version treats new players. If it does well then we might tweak it out a little. If it bombs then we try again and keep trying until we get something good. It was pretty weird writing cutscenes with no talking in them at all, but it helps sticking with a simple plot. 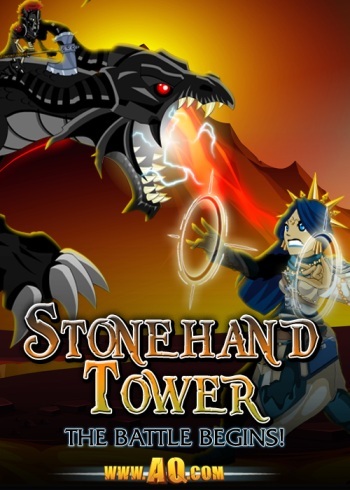 A tower under attack, a mage in need and a HUGE black dragon to fight. This is really for new players but you can find some pretty nice new weapons in the new tutorial so feel free to try it out and let us know what you think from a brand new players perspective. One of the BEST things about AQ Classic is the random battle button that automatically takes you right into the action letting you fight stuff that is good for your level. When I first started playing AQ Classic I spent about 4 hours just clicking that button over and over. It's about time we had something like that for new players. Enter the Random Adventure Button (Beta). Dumoose spent rather a lot of his week building this smart button. It will (try to) take you to an area in the game that is good for your character, Most of you loyal players who play every release as soon as it comes out on Friday will have done all of this stuff but for people new to the game, or even people who are just trying to level their characters it will be a very fun little tool to play with it. You can try out the button in Battleon and let us know what you think. If you find any bugs remember to report them on our new Bug Tracker. We're not sure if this has anything to do with the movie or not. Probably not. Nobody here has even seen a trailer for it but we naturally assumed it has something to do with red pandas. Anyway, this gear is really great and it will only be in-game for a limited time so fee free to let your wild side out. To celebrate the release of the Graveclaw cutscenes, we have put the Shattersword Pickaxes on a number of the hardest bosses in game! They will have a VERY low drop rate (less than 1%) and a VERY high sell back, AND they'll stay in-game permanently! Walk the seas of time and sand. Take your enemy's life in hand. Find the battle, hunt the prize. Graveclaw waits, but soon will rise. It watches from beyond the grave, banished, but now called to save.Now Graveclaw beckons from his cave. The future calls. The memories bleed. But Graveclaw promises all she'd need. Music, madness, and memories sing when Graveclaw summons this Beast of a thing. A question never asked, an answer no one learns. Graveclaw will ally with the one who burns. Twists and turns to hide the truth. All locked inside a small, skewed cube? 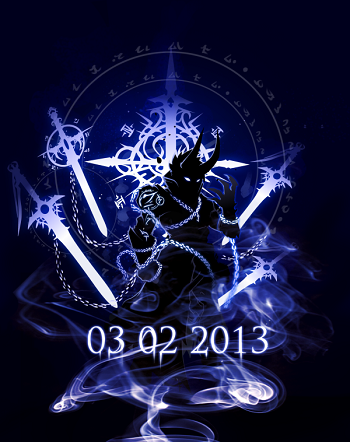 Dage's birthday (March 2nd) is coming up and as usual he blowing the roof off of it. Next Friday he will be moving from Shadowfall to the Underworld where he will have better access to the Soul Forge to use the spirits of his loyal followers to craft even more devastating weapons and armor. Last year's Paragon pet will NOT return, but he is crafting a NEW Pet for this year that will give access to some interesting stuff. 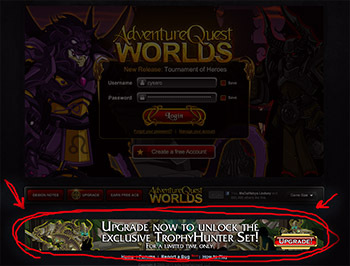 ...click up and upgrade then you will unlock the Trophy Hunter badge in your Book of Lore... but you MUST click the banner below the game screen for your upgrade to unlock Trophy Hunter. Quibble & Tournament Rares: Last Chance! Quibble is leaving next Wednesday so this is your last chance to grab items from this visit, including the new Deathblood Set coming to Quibble TONIGHT! I know that I said last week would be the last buff, but the art team has a bad habit of topping their previous best. Next week The Tournament Rares Shop and Heroes Heart Day seasonal map and items will also be leaving on Wednesday. If you haven't played the Battle Coliseum yet, don't worry. It's not going anywhere. Only the Tournament Rares shop will be going rare. 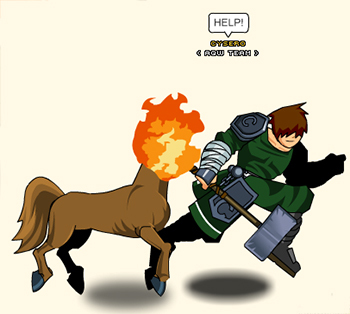 We were supposed to have a player Suggestion Shop update today but volunteer developer Vokun was struck down with a mysterious illness (probably the flu) so wasn't able to complete the update this week, but hopefully next week he will be feeling better and be able to return to providing AQW with great art. Get well soon, Vokun! Prepare for the Darkest Celebration of the Year! AQW's darkest weapons-crafter is leveling up again next Friday! He'll descend to the Underworld to take control of the SoulForge, where he will begin creating darker, deadlier weapons than ever before! 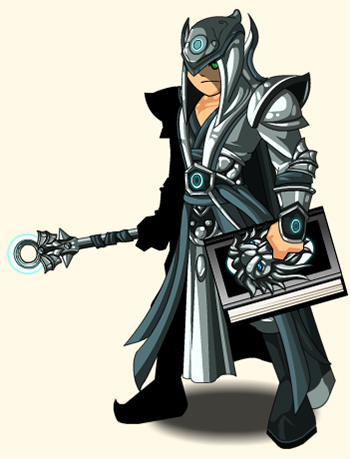 Dage will release a shop as usual, but this year we'll be adding quests for his Legion to undertake! Dage equipped the silhouette of his birthday armor on his character page, but we received so many requests for it that the above armor will ALSO be released! 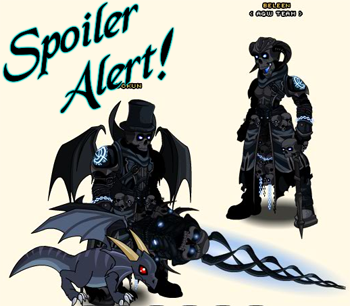 A new Paragon Pet will also come in next Friday's shop, so be sure not to miss it! This Week's Gear is Dark... but Beautiful! Look inside yourself, Hero... are you a creature of the Light? Or of the Dark? This week, we have items that will please both sides of the spectrum! Prepare to battle Challenge bosses or face the crowds in Battleon and Yulgar's Inn, because the DeathBlood Armor set in Quibble's Shop, Beautiful Creatures Limited Time gear, and Shattersword Pickaxes are all worth fighting for! 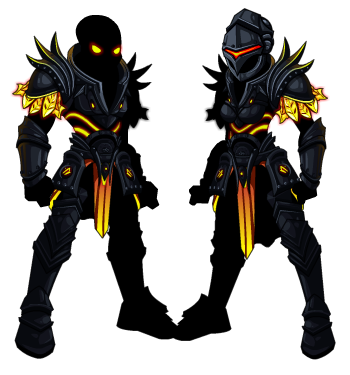 AQW's artists LOVE creating gear for the DarkBlood theme, so we've decided to put one last armor set in Quibble's shop! 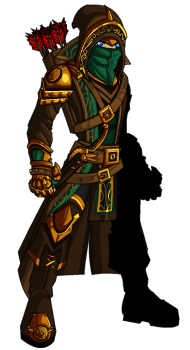 The DeathBlood armor (and the rest of Quibble's gear) will all leave next Wednesday! We've received a lot of positive feedback on this set, so it will be available for both Members AND as an AdventureCoin variant! Beautiful Creatures Limited Time Shop! Unleash the animal inside! The Beautiful Creatures limited time shop in Battleon is full of beautiful (but twisted) creatures! Both Light and Dark Magi have merged with the animal forms they copied, and these lovely - but deadly - casters cannot change back! 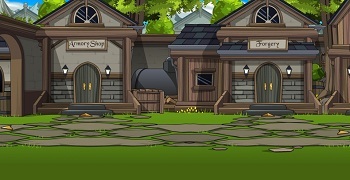 The shop will be available for at least a week, but not much longer, so make sure to stop in Battleon before moving on in your adventures! Revisit Graveclaw in Shattersword Caverns! Descend to the bottom of Shattersword Cavern to defeat Graveclaw the Defiler, a ferocious beast King Alteon imprisoned decades ago! It has regained its strength and, if it manages to escape its prison, will be free to play a dark and deadly game with the lives of Swordhaven's villagers! 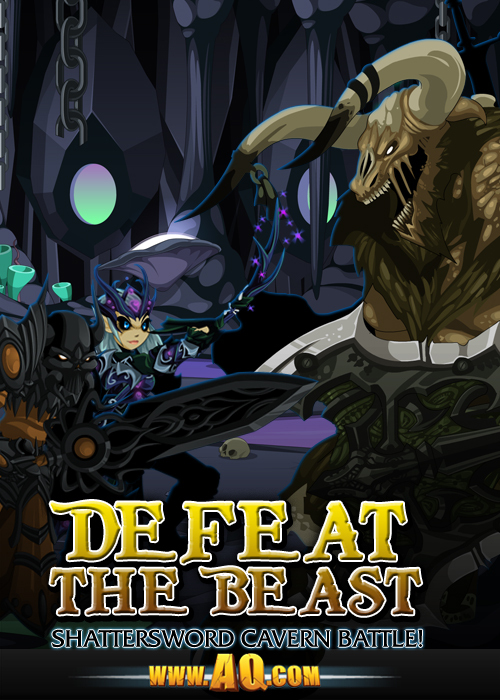 Can YOU defeat the beast King Alteon imprisoned? Shattersword Challenge Boss Rewards, Part 2! 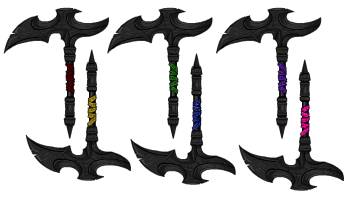 To celebrate the release of the Graveclaw cutscenes, tomorrow we will be putting the Shattersword Pickaxes (on a number of the hardest bosses in game! They will have a VERY low drop rate (less than 1%) and a high sellback, AND they'll stay in-game permanently! Check tomorrow's Design Notes for the clues! Each pickaxe will drop off of ONE Challenge Boss! The original Shattersword Kamas (which were daggers) will not be re-released. These axes are single-wield. We did not have time to put together the all-player DoomKitten Challenge with the skills and animation it should have. 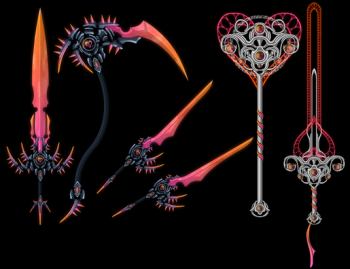 * Look for that to come soon, but for now, enjoy hunting and battling for these axes! * We'd rather do this Challenge fight right, since many of you have such good memories of the original battle! 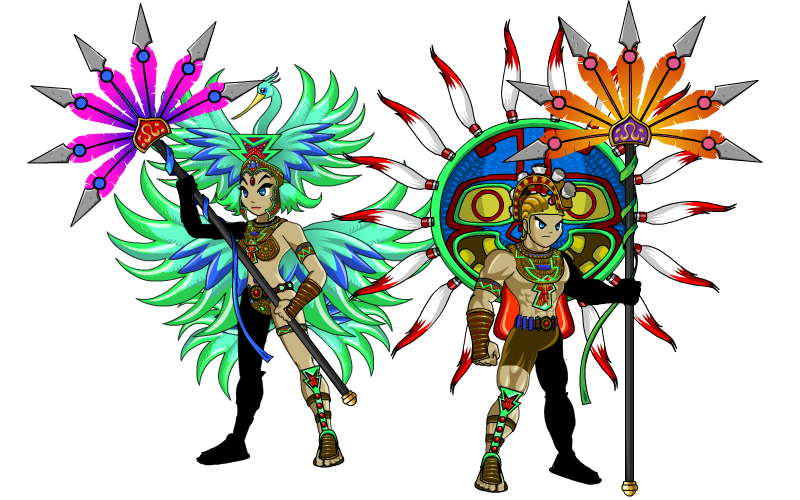 The Carnaval Rares shop leaves with tomorrow night's release! It was supposed to leave Wednesday, but was overlooked due to illness. Enjoy the extra time to choose your celebratory souvenirs! Hi there! 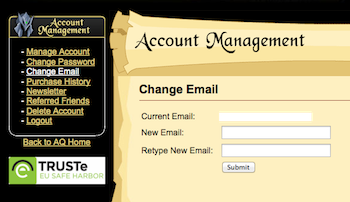 A lot of my Battleon buddies have been asking how to confirm their email. 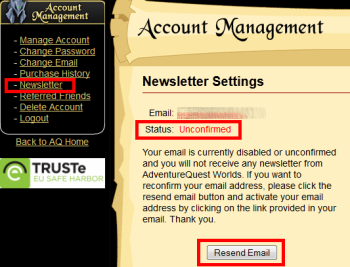 They want to get the all-new AQW Weekly Newsletter but don’t know how to confirm, re-confirm, or change their email to an actively used one. It’s easy! Let the power of the pink show you how! Click on the Newsletter link on the left. See! I told you it was easy. And now you can stay ahead of the game with up-to-date information regarding the all-new releases in our favorite MMORPG! Your Adventure Begins (Again) This Friday! Face an undead General this Friday as it leads an attack from atop a monstrous black dragon! 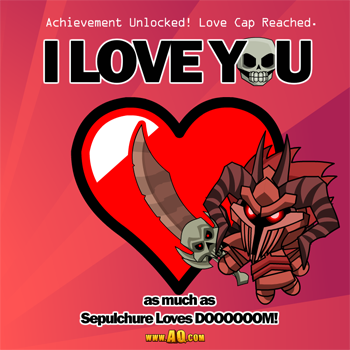 Sepulchure's skeletal army MUST be stopped, and YOU are the only Hero who can save Lore! New and old players can run through our latest battle tutorial while seasoned warriors can take on the Hittin' the DoomKitten challenge fight! We continue to refine the intro to our game with a new cutscene, a BIG boss battle, and clearer instructions! Rewards of varying levels unlock at the end of a battle through a tower under attack from Sepulchure's army. When we created AQWorlds 4+ years ago, many of you knew exactly who Sepulchure was and why it was bad when he (SPOILER) dies. But now, tons of our NEW players haven't played our older games and don't understand the importance of Drakath slaying Sepulchure. Reworking the first cutscene allows us to give a better indication that Sepulchure is an entity to fear, making Drakath's victory more impressive... and Sepulchure's remaining influence on AQW characters more fearsome. That's right, I let the cat out of the bag!. For our players with higher levels and more experience, we wanted to offer you the biggest challenge fight you've faced in a while, and what better boss to beat than the... DOOMKITTEN?! Long-time DragonFable players will remember this deceptively-darling creature as a boss fight you might just want to turn tail and run from! Update: Due to a devious plot by the DoomKitten (or maybe just this winter illness I'm fighting off), the Challenge fight may need to be delayed until next week. I will try to get the battle released, and will let you know a definite launch date as soon as I do! Unleash the animal inside when align with the Light OR the Dark when you select gear from the Beautiful Creatures shop! These Magi have become twisted, permanently frozen into the animal shapes they morphed into while spell-crafting. 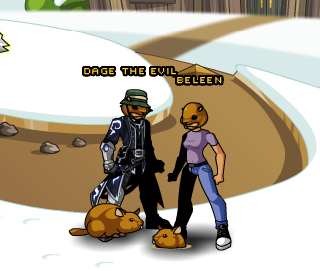 Quibble Update, Suggestion Shop, and New Battleon! Quibble gest his LAST update this week! 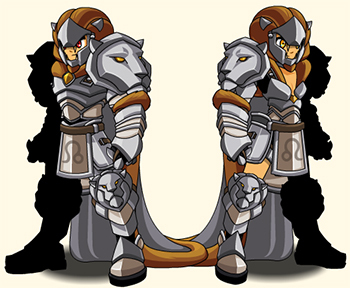 The DeathBlood armor releases to herald in next week's LionFang release in the Death Pits! Heroes, prepare for BATTLE with gear that will save your life (or unlife)! We are also planning a Suggestion Shop update this week! 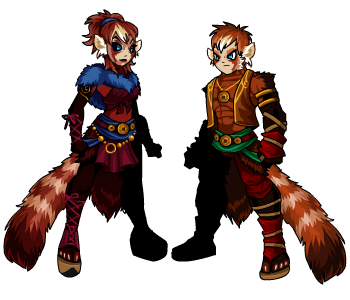 This Friday, head to Yulgar's Inn to check out new gear created by our artists from YOUR ideas! AND a new road to travel down. This route will guide you through the Chaos zones in order while giving you more places to farm as you adventure through Lore! Mini-cutscenes will take you from this path to Chaorrupted areas around AQWorlds! The Carnaval Rares and Paymentez Carnaval Rares shops leave TOMORROW, but the zone will remain in-game permanently! Quibble Coinbiter leaves next Wednesday, and the Tournament Rares shop leaves March 1st! Post your Entries on Artix.com! So unbelievably popular! The Artix Entertainment Pop Culture Contest has grown so big so fast that we had to move it to Artix.com! (*whispers* Mostly because of the sheer volume of terrible, terrible posts being made on the Facebook app we were using previously). Pit your creative talent and amazing drawing skills against mainstream memes, cultural icons, ideas, jokes, perspectives, images, and media, all in Artix Entertainment style. Make Artix Entertainment-themed Pop Culture artwork! Draw, paint, or illustrate your favorite Artix characters in popular scenes from pop culture. 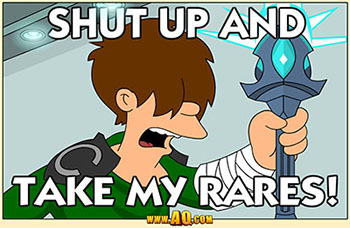 Take your favorite meme, movie poster, TV character, or whatever and transform it into a hilarious parody Artix style! Here’s your chance at wining something EPIC! The Pop Culture Contest prize will be based on the wining entry. An exclusive item JUST FOR YOU will be crafted based around the Pop Culture universe that you use. The prize will be just as unique as your entry! Additional AdventureCoin prizes will be awarded to the runner-ups. Post a valid link to your submission in the Comments section on Artix.com. If approved, we will place your picture submission in the Artix Pop Culture Contest Album on the AQWorlds Facebook page. Like Us on the AdventureQuest Worlds Facebook, and then Like your favorite submission(s) in the Artix Pop Culture Contest Album, and whichever post has the most Likes will determine the winner! 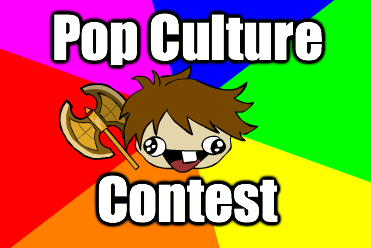 Submissions to the Pop Culture Contest will be accepted until Sunday, February 24, 2013, at 11:59pm EST. 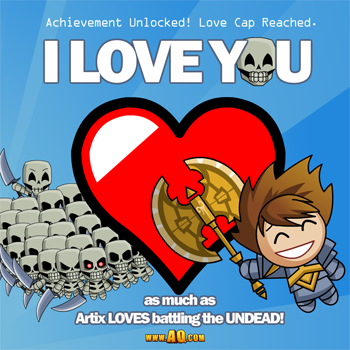 Post a valid link to your picture in the Comments section on Artix.com. Good luck, and may the most Popular Pop Culture entry win! When you Invite them to Battle On! Did you know that you can invite your real-life friends in-game AND get sweet rewards? You DO! Every friend you refer means you get Gold and Experience based on the amount of Gold and Experience that they earn each day. You also gey 1 Friend Gem for each friend once they reach Level 5. Use Friend Gems to buy awesome items from Twilly’s Referral Shop in Battleon. The more Friends you refer and help level up, the more Gold, Experience, and Friend Gems you get! The best part is, when your friend becomes an Upgraded Member, you get 250 AdventureCoins! 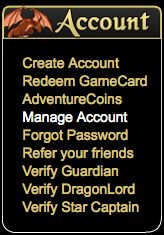 Login with your AQW Username and Password. To invite a friend, enter their email in the textbox labeled "Friend's Email" and then Submit! You can also see a list of all the friends you've referred here, too! You can also Recruit your Friend from in-game! Speak to Twilly in Battleon to send your friends Referral emails directly from AQWorlds. 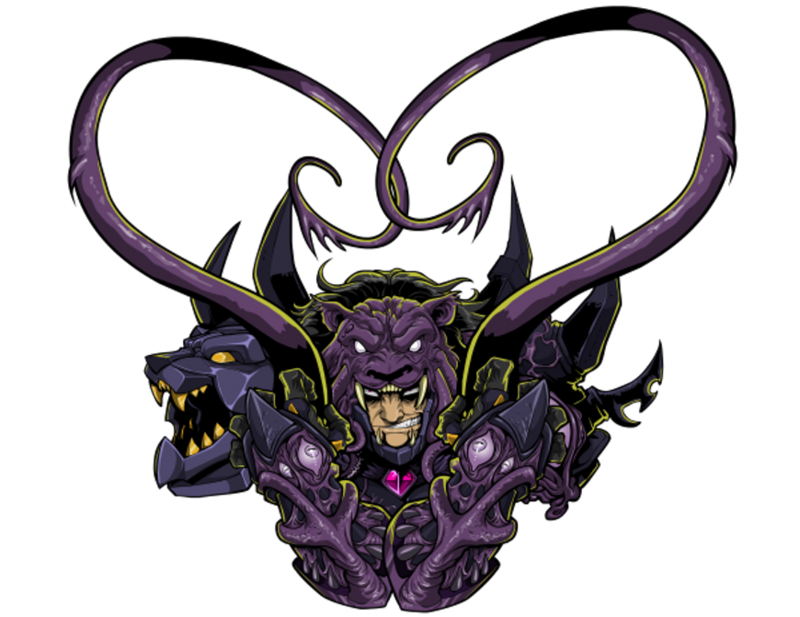 Tomorrow We Honor EpicDuel's OMEGA! It's been months in development but the long wait is over and EpicDuel has launched their OMEGA release! They re-wrote more than half of their battle engine and turning the game on it's head. They have revamped everything from character creation to the very battle system that forms the core of the game. Titan says it's been a roller coaster ride. People were excited at the announcement but it took far longer than expected so people got anxious and cranky, then it was released and people were FLIPPING OUT then started to notice a few bugs that were missed in testing. Soon ED plans to release it's second balancing patch and people are again excited to see what changes are coming to this game of blades, blood and bones. In honor of their achievement, we are releasing the Alpha Omega Class tomorrow! 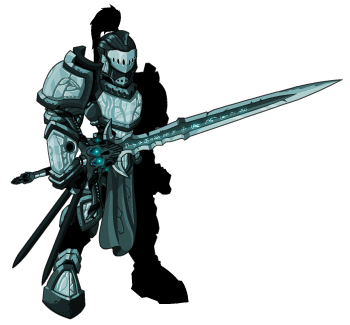 The art was designed by ED's own Nightwraith and if you ask me it's one of the most impressive armors that we've seen in AQW. There will be a few ways that you will be able to get the class when we release it tomorrow. Members can earn the class by trading in 300 Combat Trophies from Bludrut Brawl to Ragnar in Battleon. He will have a new merge shop for classes as of tomorrow. 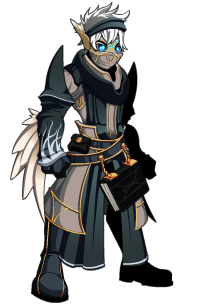 Anyone can simply purchase the class for 1000 ACs (half-price from our normal classes) from Ragnar in Battleon, or from the Class Shop in your Book of Lore. Now, let's get our hands dirty. First, don't let the name Alpha Omega mislead you. This is NOT a re-release of Alpha Pirate (as some people seem to think) and has nothing to do with the Alpha Testing Phase of any of AE's games. Alpha is the beginning. Omega is the ultimate end. This class was designed to finish any battle that it starts and it's as simple as that. The skills for this class were originally inspired by the skills of the Mercenary from Epic Duel, and evolved from there. Our balance testers have said that it can take a lot of punishment but have no problem dishing it out in one-on-one battles. They have also said that it feels like one of the most well-rounded and multi-purpose classes we've released in a while. 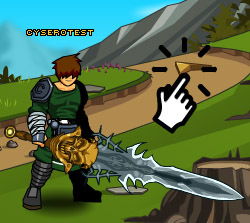 The balance testers also say that LUCK Enhancements work best with this class, even though it's built on the Warrior mana regen model and does physical damage. Got a better build? Let us know on the forums! Instantly attack twice, dealing extra damage. Very simple. Anything you punch in the face get a bonus punch in the face ABSOLUTELY FREE! Heals a friendly target for a large amount immediately, and up to 3 additional nearby targets for a smaller amount. Applies Radiance to the first target, healing for an additional amount over 16 seconds, and restoring some mana to the caster when the target takes damage.. It's not a HUGE heal but it's a nice life-saver and you CAN cast it on yourself. It also buffs your mana for as long as the heal's effect, Glow, stays on you. Strike and weaken an enemy by stunning them for 4 seconds. Does damage and carries a guaranteed stun, which is always nice. Especially in PvP. Hit harder and take less damage. Warrior based combat at its finest. 1 hit guaranteed to crit. A guaranteed crit, every time. This skill is why I liked to play around with the ENH. If you already have one guarentted crit then ideally you want to make it stronger with STR but it's not the only skill that can crit and critical heals are REALLY NICE. Depends on your play style. I think this is the first time that we've had a rank 10 passive that was a flat stat boost like the rank 4's usually are, but rather than waiting for a 1/500 chance for a massive damage to go off, spead up all attacks and reduce all cooldowns making you do more damage overall. Again, you'll have to let us know what you think. So there you have it. 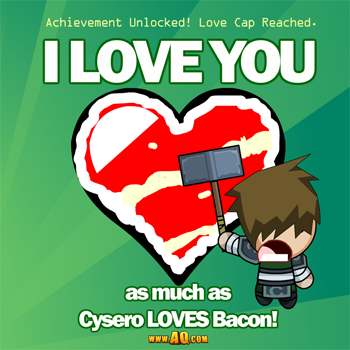 The class comes tomorrow along with ED's Valentines Event which features, amongst other things, 2 BRAND NEW CORES to play with so you probably want to check that one once you're done with AQW's release! Invite your Friends to Battle On! Look at you! You’re so popular. You’ve got so many friends at your school, on your Facebook, in your neighborhood, and on Twitter. But did you know that you can invite your real-life friends in-game AND get sweet rewards? Let me show you how! After you’ve logged into the Account Manager, select 'Referred Friends' from the menu on the left. To invite a friend, enter their email in the textbox labeled "Friend's Email" and then Submit! Or you can copy and paste your referral link on your blog, on your Facebook, Twitter, bathroom stall door... anything you want! Friends give the best presents, don’t they? For every Friend you Refer, you get Gold and Experience based on the amount of Gold and Experience that your friend earns each day. You also receive 1 Friend Gem for each Referred Friend once they reach Level 5. Use Friend Gems to buy all sorts of awesome items from Twilly’s Referral Shop in Battleon. The more Friends you Refer and help level up, the more Gold, Experience, and Friend Gems you get, so start Referring your Friends today. And here’s the best part: when your friend becomes an Upgraded Member, you get 250 AdventureCoins! 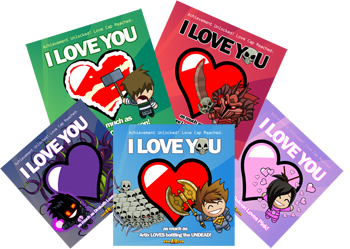 And don’t forget to show your friends how much you care for them with one of our super adorable Chibi Valentine’s Day Cards! The Tournament of Heroes is about to Begin! All is NOT fair in love and war... especially THIS week!! * Step into the arena this Friday and make sure nothing UNfair takes place in the Tournament of Heroes! Battle betrayal and backstabbing competitors to protect the Royal family as warriors from across Lore compete to become Swordhaven's Warlord General... and win the right to court King Alteon's heir, Princess Brittany! * Or in the Coliseum's Hero vs Hero battles! 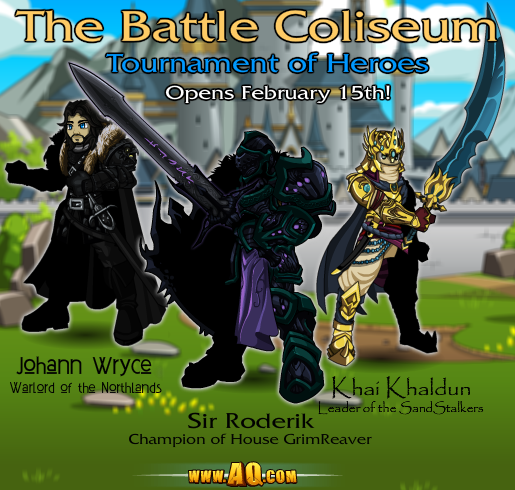 Sir Roderik of House GrimReaver is the son of a noble Swordhaven family, and is sure he would make the perfect General. Lord Brentan, Guardian of the Neverglades, has experience leading warriors on and off the battlefield. Though ALL of the competitors are determined to win, one will stop at nothing to steal the Princess AND the throne... no matter what it takes! Once the competition begins, any victory inside the Battle Coliseum counts for the Tournament... even if not all participants are prepared for the fight! When Swordhaven's favored Champion is betrayed, Princess Brittany asks YOU to take up his blade and ensure the best warrior for the job (and the kingdom) wins the day! The Knight of Thorns, crafted by Vokun! Here's what every Hero - Good OR Evil - needs to know! This event will be available for ALL players and will stay in-game permanently! Event Rares AND a permanent rewards shops! 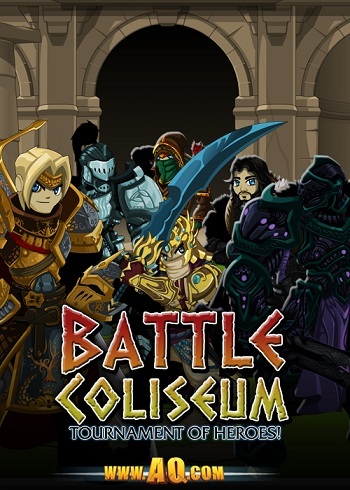 First look at the Battle Coliseum, the next major step in Battleon's re-design! 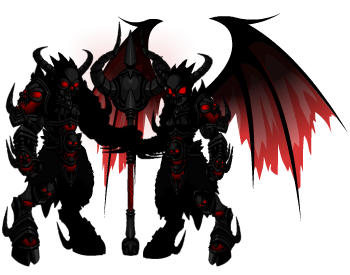 Due to the binding nature of the compact, Empress Gravelyn has given permission for all Evil-aligned Heroes to aid the Good King. Previous years' Heroes Heart Day events return Thursday, February 14th! Fear the Faceless Knight, Solrac's latest creation! The Faceless Knight knows how the Tournament must end and will do anything, and fight anyone with ANY weapon available, to make sure it happens! Not sure if you're ready for the Coliseum? Head over to Yokai and battle through the DragonKoi Tournament to put your gear to the test! Every hero wants to fight for SOMETHING! Save the day and the kingdom, and then reward yourself with gear from the Tournament Celebration shop (which will include Heroes Heart Day gear and go rare) or the Tournament Defender shop (in-game permnently)! Created by Epic Duel's artist, Disturbed! Select versions of the Tournament Competitors will have their armors rouged for the rare Heroes Heart Day event shop, like the Rogue of Love! Prepare to have your heart (and bones) broken! Dage's Birthday is Coming Soon! Good and Evil Heroes alike recognize the skill of Lore's Darkest Armorer! Dominating the Underworld from his shadowy forge, Dage the Evil is crafting new gear to tempt and tantalize your with... and NOW he is teasing his followers (and potential recruits) with a glimpse at one of his birthday shop rewards! Keep an eye on Dage 's Character Page for more previews! The BlackOut Birthday Surprise Armor below! This silhouette will turn into an incredible set of gear only available this year in his birthday shop! 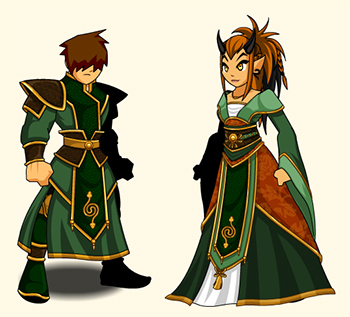 Hurry to Battleon, because Wednesday, February 18th, the Yokai New Year event goes rare for another year! Quibble will remain at least another week, but it won't be long before our time-traveling sales-moglin gets the urge to wander once more! The Carnaval /Party is here! Carnaval (or Carnival/Carnivale in other parts of the world) is the world's largest party. Every year more and more people from all over the globe celebrate this festival of fun and transformation but NOBODY does it like Brazil! It is a week-long party full of parades, food, fun and friends where your normal life is overturned and everyone generally goes nuts, and it's finally come to LORE! In the town of Terra da Festa, the party is in full swing bringing you amazing party outfits inspired by those seen in the streets of Rio de Janeiro. Some of out Brazilian players have complained that the previews of the outfits were not a revealing as the real deal, but we wanted to keep the game friendly for everyone so we had to tone them down a little. Members will find special bonus quests with special Member Only rewards, but there are shops and an AC Rares Shop and other quests for everyone to enjoy! 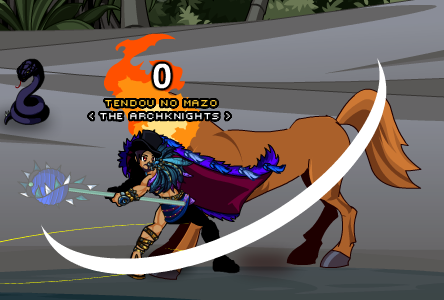 In an AQW first, players from Brazil will find the ENTIRE release has been translates into their native tongue. Batista, one of our volunteers, translated the release! Get ready to Festa like never before! This was a REALLY BIG challenge for us and not something we can do every week or for every country but if this works maybe we can do it more often for future events. Don't let the Mula Sem Cabeca get you! We want to thank all of you for your support! Obrigado Pelo Seu Suporte Have fun and Happy Carnaval! Login This Weekend for Server-Wide Boosts! Login tonight and throughout the weekend on Member Servers for 20% more Rep, 10% more XP, and 5% more Gold when you battle or complete quests! Regular servers will get the 10% XP and 5% Gold Boosts! These boost stacks with the AC XP Boost available in the Class Shop in Battleon, so if you needed help leveling up, this is the weekend to play! /Party up to take down bosses and grab ALL the gold! Chinese New Year of the Snake 2013! This year you get a double dose of international celebration! On the other side of the planet in China, everyone is gearing up to celebrate Chinese New Year on Sunday. In Akiba the princess of Yokai Island,Ai No Miko, and the river dragon Panlong need your help once again. 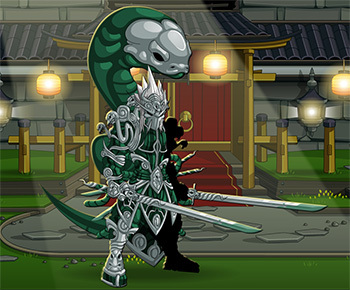 Serpent Warrior set from Aegis! You will also find a number of Member and Non-Member Seasonal Items returning as well as a host of NEW Seasonal Items for both Members and Non-Members to earn while Chinese New Years lasts! This morning it was our pleasure to meet the first winner of the SHUT UP AND TAKE MY RARES contest, Sky1k3. He gave us permission to reveal his identity to the community at large so now you can get to know him too. 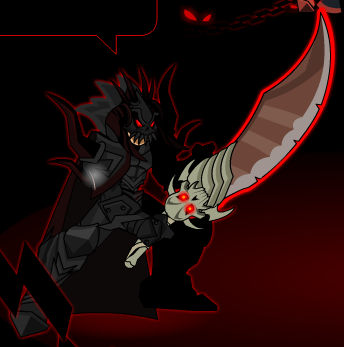 For his prize he selected the Bloodletter of Nulgath which came directly from the inventory of one of Cysero's alts. That character is never allowed to get the item again. Cysero got to hang out with him and his entire guild, Soul Inside, who are from Indonesia. They taught Cysero a few phrases in Indonesian (Cinta Indonesia!). He's been playing since 2010 and has been a Member since early last year. Since his home town is 12 hours ahead of the Secret Underground Lab eventually he got sleepy and needed to go to bed but it was a lot of fun and Sky1k3 wishes you all good luck in the next SHUT UP AND TAKE MY RARES drawing! Decipher the Clue to Find the Shop! TreasureHunters, assemble! We've been including new ways for you to explore the game, hunts and wars to get you back to maps you have never seen, or haven't been to in a long time. Tonight we are releasing an all-new way to do just that: the Treasure Map! Talk to Cleric Joy in Battleon or Valencia in BattleonTown to buy the Treasure Map for a one-time cost of 2000 AventureCoins, then use the clue it gives in the item description to find a shop hidden in-game full of 0 AC gear only YOU can access! We've been getting many questions about this new feature, so read on to get the news on what you really need to know! You cannot open the Treasure Map Shop unless you have purchased the Treasure Map. Purchasing the Treasure Map unlocks the shop forever (as long as you have it in your inventory), and the shop will be updated regularly! 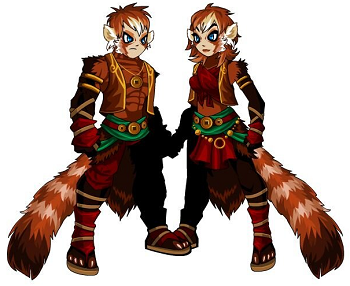 The gear in the shop costs 0 AdventureCoins so you can take advantage of the free storage! You only need to buy the map once (and then keep it) to access all future shop updates! Shadow Commander and Unidentified Warrior! 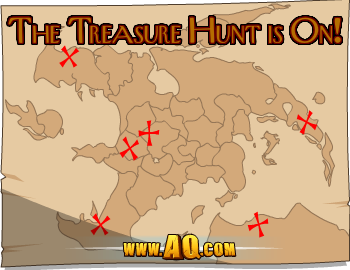 Once you have the Treasure Map item, read the clue in its item description, then locate the map and start clicking around! You'll see your cursor change (like when it hovers over a button), and that's the sign you've found the shop! With the Treasure Map, you're buying access to the shop full of exclusive gear AND access to any of the FUTURE gear that gets put into it! ChickenCow T-Shirt Bock Two... Engage! Chicks and dudes alike look great in our newest t-shirt, now available at HeroMart! We brought back the ChickenCow T-Shirt with a 2.0 version! You'll unlock a character page badge, the Golden ChickCalf in DragonFable, and a Confused Chickcalf in AdventureQuest Worlds! 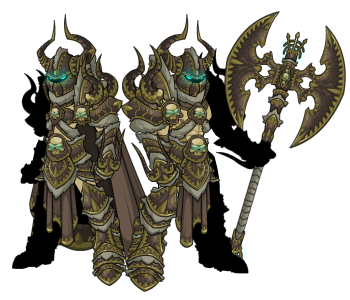 Talk to Quibble Coinbiter in Battleon to get your own Minotaur Slayer armor! This bad boss-basher will go perma-rare once Quibble leaves Battleon! And speaking of shops leaving, remember that the Half-Time Punt and Groundhog's Day shops leave Monday night! Coming to AQWorlds This Month! 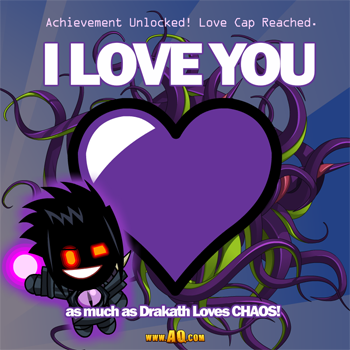 2013 started strong with releases full of Chaos, conflict, and crazy-awesome rewards throughout January. But February, we're going to kick it up even higher! Badder bosses, better battles, and bigger bonuses! Prepare for the adventure of a life-time! Battle Graveclaw in Shattersword Cavern! Find the golden statue of King Alteon in /battleontown to begin the adventure! Descend to the bottom of Shattersword Cavern now to defeat Graveclaw the Defiler, a ferocious beast King Alteon imprisoned decades ago! Carnaval and Yokai New Year TOMORROW! 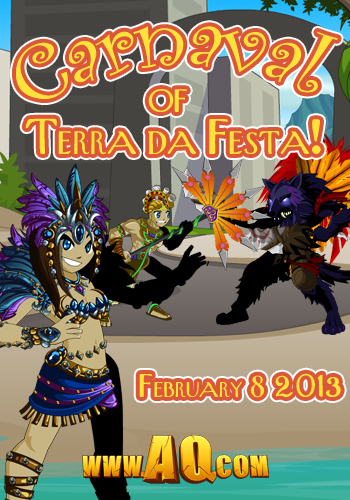 The largest party in the world (and our first release available in Portuguese AND English), the Carnaval of Terra da Festa, starts this Friday, February 8th, at sundown! Once you've samba'd the night away, head to Yokai to celebrate the Yokai New Year event! Use the Treasure Map to find the Secret Shop! Once you purchase the Treasure Map, use its clue to find the shop hidden in-game and unlock exclusive gear! The shop will update once a month and you will ALWAYS have access! Alpha Omega Class Arrives Next Week! 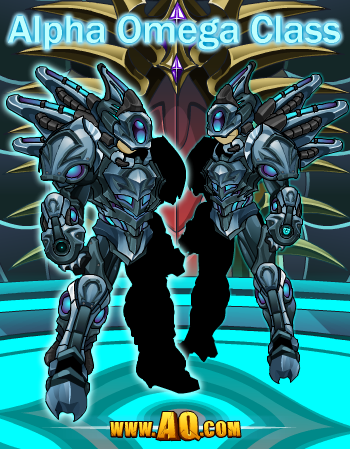 Celebrate the release of EpicDuel's Omega release with AQWorlds' Alpha Omega Class*! 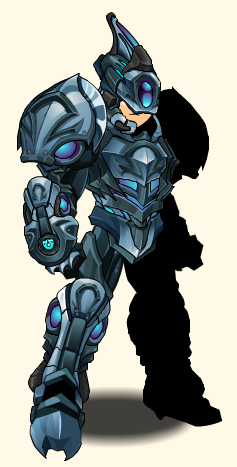 With skills modeled after some of ED's Mercenary Class, Alpha Omega will be available for 1,000 ACs OR members can merge PvP Medals to buy it buy it for free! * We will try our best to release it on Wednesday, February 13th, as previously stated, but we'd rather release a balanced Class a few days late than release a broken one. Previous Heroes Heart Day Events return February 14th! It's the most d'awww inspiring event of the year, and all of the seasonal rare items will return! Return to Lionfang's Legacy, the new Chaos Saga! Get ready to get dirty as you battle through the DeathPits, the darkest dungeon-crawl yet! Party on in Terra da Festa! The largest party in the world, the Carnaval of Terra da Festa, starts this Friday, February 8th, at sundown! Batista, the King of Carnaval, has spotted Brazilian folklore monsters in Terra da Festa. But what’s a party without party-crashers, anyway? If you hope to experience the joy of Carnaval, you must team up with Batista and take down the monsters out to ruin the festivities! Carnaval is all about transforming yourself into anything you want. Fantasy meets reality in Terra da Festa! Festoon yourself in fabulous Carnaval costumes, headdresses, and weapons, and parade down the streets of the Sambódromo! Members have all the fun! If you want to experience the best-of-the-best Carnaval costumes and quests, upgrade your account today! 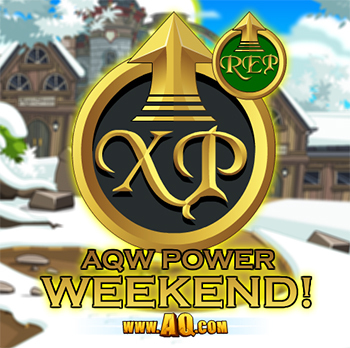 Not only will you score all the awesome perks of being a Member, you will also be supporting the AQW Team so that we can continue making Special Events just like this one—and more to come! Why: Save and celebrate the largest party in the world, adorn yourself in Seasonal Rare Carnaval items, /dance to Samba music, and experience the first-ever Special Event to feature daytime and nighttime and full English and Portuguese translations! The First Round of SHUT UP AND TAKE MY RARES Is Over! 160,011 characters had the February Rares Raffle Ticket in their inventories or banks. We added 1 extra entry for every day of Membership remaining on Member accounts and 1 for ever AExtra completed since Jan 1, 2013. With every entry accounted for by the computer we had it randomly select a list of people from the total entries. The first winner has been e-mailed. If they do not respond by 4:00 PM Friday then we will move on to the next person on the list. 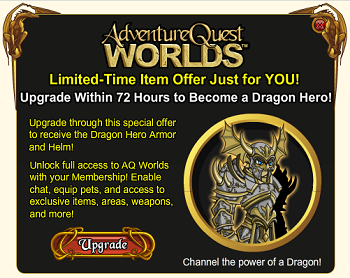 If you think that you might be the winner, CHECK YOUR AQW REGISTERED E-MAIL ACCOUNT! All that we have asked of the winner is to give us a time to meet them online to discuss their prize. We have asked for no account or e-mail information. Beware scammers pretending to be us and telling you that you won. BE SMART. Why Don't You Just tell Us Who It Is? The winner might not respond, even if we did give you the name so we'd have to pick another one. The winner might not want to be followed and hounded and be targeted by hackers and scammers. They might not want their name released at all. If you didn't win this time, never fear, there are LOTS of Rares left and the March Rares Raffle Ticket is already in Cleric Joy's shop in Battleon. The February Rares Raffle Ticket now serves no purpose so you can sell it or just leave it sitting in your bank until the end of time. Everything you need to know, right here, right now! Happy Monday! I hope you had a wonderful weekend—and from all the positive feedback on our Twitters and Facebook, everyone LOVED Friday’s release! You think last week was epic? Just wait until this Friday’s newest release. It’s totally going to blow your socks off… even if you aren’t wearing any! 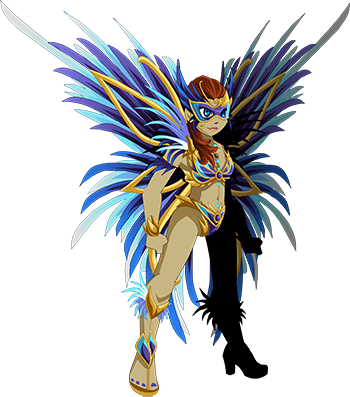 As you may know from my previous Design Notes post, Carnaval begins this Friday, February 8th. Carnaval is the largest party in the world… and it’s coming to AdventureQuest Worlds! Gong Xi Fa Cai! Happy New Year! The Chinese New Year begins February 10th, but we are celebrating early starting Friday the 8th in Akiba on Yokai Island. 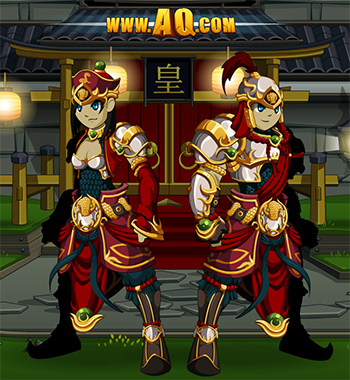 We will be re-releasing your favorite Seasonal Rare Chinese New Year items in addition to brand-new ones! It’s the Year of the Snake, ssssso you better believe thessseee Sssssseassssonal Rare Itemssss will be the coolesssst in all of hissssstory! You can really sssssssink your fangssssss into thissss sssspecial releassssse. 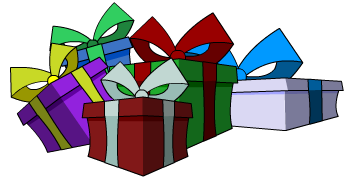 The Australia Day and Mod Birthday shops in Battleon leave later today! So make sure you get these items while you still can! Groundhog's Day quest leaves Wednesday. Did he see his shadow? You better find out soon before he burrows away for a whole year! Pick-up these touchdown items! The Half-Time shop and Punt Twilly minigame leaves next Monday. So if you wanna score big, score these Half-Time rares! Thank you so much for playing AdventureQuest Worlds, and a super special THANK YOU to all our wonderful Members and AdventureCoin buyers for supporting us! We couldn’t have come this far without you, and we certainly wouldn’t be able to release new content every single week without your support! Gear Up for your Next Adventure at HeroMart! Embrace the Darkness with one of our limited-edition Empress Gravelyn Prints at HeroMart! This 8.5 x 11 semi-gloss art print of Gravelyn, Empress of the ShadowScythe, will overshadow any other art it is near. Each special edition print comes with an exclusive in-game item, while purchasing both at once unlocks the Dark Empress Blade! Both of these prints were redesigned by Diozz_AQW. Signed deluxe prints by Diozz are also available for purchase. Who Is Gravelyn, Empress of the Shadowscythe? 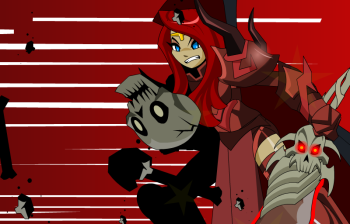 One of AQWorlds' most beloved characters, Empress Gravelyn is the daughter of Sepulchure and leader of both the Shadowscythe AND the Evil faction of the Alliance against Chaos! She commands her skeletal warriors and legions of Evil players from her fortress in Shadowfall! "Beware, for one day Shadowfall will RISE again! The day I take to the skies... you die." Who Will YOU Ally With: Good or Evil? If you choose to ally with Evil, Embrace the Darkness and bow to Gravelyn, Empress of the ShadowScythe! Followers of King Alteon the Good must accept the Alliance with Gravelyn's Evil warriors... or go rogue like General Lionfang! Once one of Good King Alteon's most loyal generals, Lionfang could not stand the idea of allying with Evil, and has accepted Chaos instead! Begin his story in our current Chaos Saga! Limited-Time Offers and Items Popping Up! Earlier this year, we introduced special pop-up offers which show to players with eligibile characters. We've been getting a lot of questions from you guys about why you're seeing them, so let's break down what's happening, why, and what it means for you! What Is This Thing I'm Seeing? These offers are for a limited-time and only appear if they are available to your character. Some offers will only be available if you've upgraded your account in the past, or if you've been upgraded for a certain amount of time. Some offers may have items attached to membership packages, or some may only offer exclusive item sets. We are working on a way for you to disable these offers in your options menu, but each of them IS only available for a limited-time, so if you do not like them, they will eventually stop appearing. We have set them so they do not appear every time you log in until that functionality is working. Why Do I Want to Support AQW? 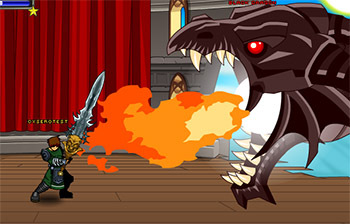 Players who support AQWorlds by upgrading or buying AdventureCoins keep our game running and make it possible for other heroes to continue battling for free. 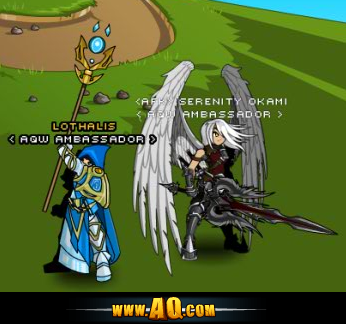 They are the greatest heroes in Lore, and we want to make sure they know how much we appreciate their support of AQW! See more member-exclusives in the Lorepedia! * And read about WHY our usually-epic cutscenes are DERPY versions this weekend! Some of these special offers will include larger amounts of AdventureCoins, or more of them with a certain membership package. 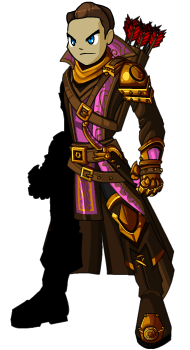 Players who buy AdventureCoins, AQW's secondary currency, get access to some of the most awesome gear in the game! 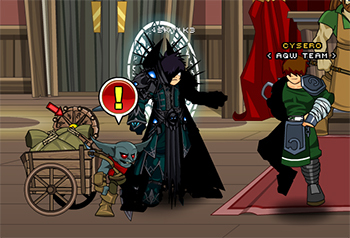 Quibble Coinbiter is in Battleon now! Different shops throughout the game contain AC gear, and some of our seasonal rare shops, like Quibble Coinbiter, are mostly stocked with AC items. So... This Screen Doesn't Mean I Was Hacked? Absolutely not. These screens were made by us for you! Never give away your username, password, or email address to anyone else, and you won't have to worry about being hacked. Protect your account! Aqworlds and other Artix Entertainment team members will NEVER ask you for that information, because we do not need it to help you! Will More of These Be Available in the Future? Yes! But we don't know what, or when. We will base future offers on your feedback! We are considering moving these offers into the NEW news interface, once the design for that is finished. Look for more information about this in the coming weeks! Battle Through Shattersword to Fight Graveclaw! Imprisoned by the great King Alteon ages ago, Graveclaw the Defiler has regained enough strength to rise again. Summoning his minions deep within Shattersword Cavern, Graveclaw prepares to unleash his army against the world of Lore! Suit-up in Quibble Coinbiter’s Rare items and delve the dark depths of Shattersword Cavern to defeat the most beastly burden known to man! Wield your weapon, conjure your spells, and Battle ON to victory! ALL players can relive King Alteon's battle against Graveclaw the Defiler by clicking on the golden statue of King Alteon in /battleontown! But you'll need to upgrade to fight your way to the bottom of Shattersword Cavern and defeat Graveclaw once and for all! #BlameCanada for No Power and Derp Cutscenes! If you haven't watched tonight's cutscenes... prepare for DERP! Normally, it takes 1 animator 2-3 days to finish the 2-3 cutscenes for each week's release. But yesterday night, we got a call from Ghost, who had been working on the boss monster AND cutscene animations! A severe storm had knocked his power out, so he couldn't finish the cutscenes OR the boss monster (or, y'know, even turn his laptop on to send them to us)! At Artix Entertainment, we never back down from a challenge, or an opportunity to have fun making games, and this news was an opportunity to do BOTH! So Cysero and Samba put on their +15 Animating gauntlets, I pared down the battle scenes, and we got ready to knock out DERP versions of Ghosts soon-to-be-REALLY-finished epic cutscenes! We will let everyone know as soon as Ghost is finished with THIS week's cutscenes! Until then, we would LOVE to hear your comments on the derp versions! Record your audio commentary as you watch them and send us the links! * To make matters even MORE absurd, Ghost's power was turned back on 2 hours before the release! Not enough time to finish anything but the boss monster. He's hard at work to get you the epic cinematics you love, but for now... enjoy the DERP! Quibble Coinbiter's Shop is live! Everyone’s favorite traveling sales Moglin, Quibble Coinbiter, is making his way back to Battleon! Brand-new never-before-seen armors, helms, weapons, and more await the greatest Rare Item collector. Gear up in Golden Onslaughter and Darkblood rare items and show the world just how awesome you are! Don't miss your chance to get this gear, because it's never going to return! We're not sure where he got it, and we don't really want to know. We just love /equipping it, and hope you all do, too! This Sunday: Superbowl Half-Time Shop! It's the biggest American Football game of the year. The 49rs and the Ravens are facing off and it's time for the halftime show. When you've had your fill of watching Beyonce do her thing on stage... head to Battleon and look for the button labled PUNT! Come join the PUNT map to celebrate this day and these two super-teams with the Miners and Crows armors and the return of other seasonal favorites like the Spiked Pigskin and the Moglin Ref pet! Don't forget that this is the ONLY time of year that you will be able to get the Moglin Punter Character Page Achievement Badge and all you have to do kis kick Twilly the full 100 yards! Good luck and no matter who wins we hope you enjoy the Superbowl!